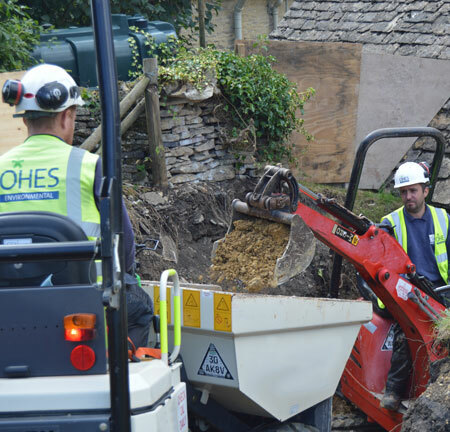 OHES was originally established to provide a specialist environmental response, investigation and remediation service to the insurance sector. Whilst the business has grown and diversified this sector remains at our core and we continue to provide a market leading service to insurers, brokers and loss adjusters. With national coverage and a totally integrated Environmental Claims Management (ECM) service we have a real understanding of insurers’ requirements, policy cover limitations and recovery prospects which enable us to work effectively with our loss adjuster partners. Our “First Strike” emergency response capability, comprehensive site investigations, risk driven and effective remediation schemes, robust and defensible validation surveys and high quality reinstatement all combine to deliver a cost effective and superior claims experience. Whilst the majority of our work is oil loss related we are also experts at managing agricultural insured loss events involving slurry, silage, milk, bio-digestate, pesticides or sewage related incidents, chemical spills or fire incidents where contaminants have been released. The calibre of our staff allows us to work effectively in High Net Worth and commercial environments. We are flexible, innovative, transparent and easy to do business with. You get direct access to some of the most talented and well respected environmental consultants in the country to protect your interests and deliver an outstanding service.